In articles that appeared last August  and November  in the FPHPS Newsletter, I mentioned that Society president – Lynn Benson and Mr. Jack Hart visited an archaeological site known as the Burris Site located in Carolina Beach behind the Federal Point Shopping Center. Mr. Hart, a descendent of the prominent Burris family in the Federal Point community, indicated that an old chimney standing on the site was all that remained of a house built by his great-grandfather, James Thomas Burris, in the early 1800s. Additionally, Ms. Benson recalled the presence of a child’s grave with a headstone at the site although it could not be relocated. The grave was believed to have belonged to one of nine children of James Thomas Burris and his wife Isadora. Also located in the vicinity were the remains of Civil War earthworks. 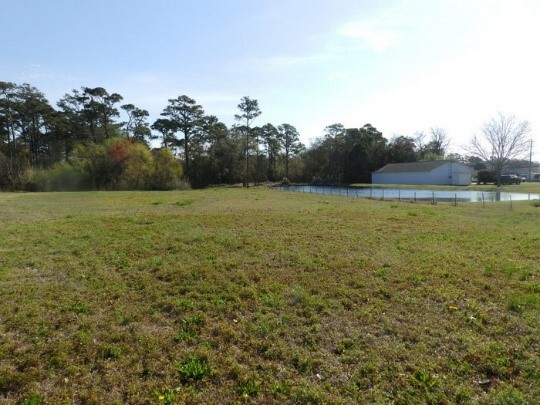 The Burris site and earthworks, unfortunately, were located on property owned and under development by Gulfstream Group, Inc. to be known as Carolina Beach Village. The developers, required by the US. Army Corps of Engineers to conduct a cultural investigation of the area, contracted with an archaeological firm to investigate the site and provide a determination on its significance. In late October and early November 1995, Coastal Carolina Research, Inc., of Tarboro, North Carolina, conducted limited archaeological testing and documentation of three areas of the proposed Carolina Beach Village. The firm conducted the study for the Gulfstream Group, in compliance with Section 106 of the National Historic Preservation Act of 1966. The purpose of the study was to determine if the three archaeological resources within the study area were potentially eligible for the National Register of Historic Places. 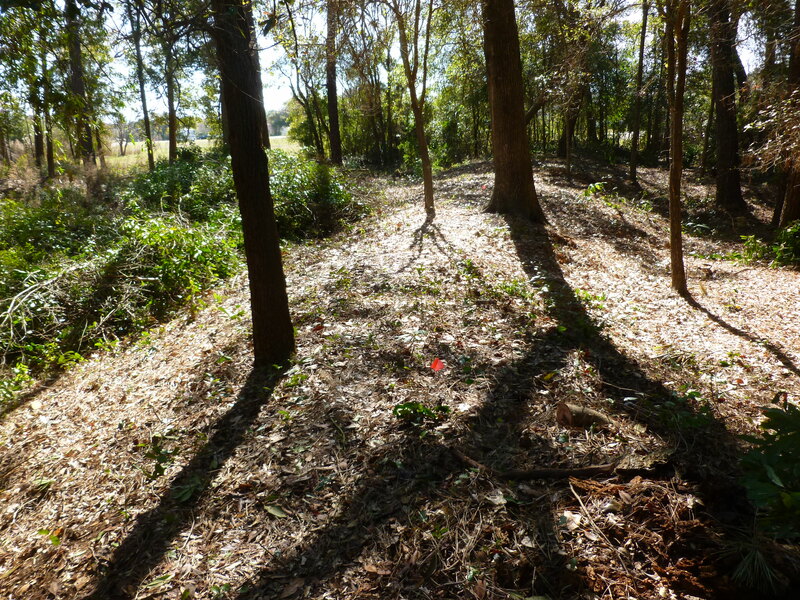 The third site also contained a portion of earthworks associated with the Sugarloaf Line, but was located outside the current permit area for Carolina in Beach Village. They were investigated in anticipation of future development of the tract. The house at the Burris site is thought to date from around 1840 and appears on Civil War maps of the area. Only the brick chimney survived. This feature measured 4.6 feet wide and 2.3 feet deep. The stack had a single shoulder and was stepped back. There had been a major repair in the front of the chimney with some concrete blocks added, as well as evidence of recent mortar. An archaeological test unit placed at the east base of the chimney yielded a mixture of mortar and recent artifacts. Archaeologists also placed two other excavation units and a number of shovel test holes within the vicinity. Although a number of artifacts found during the investigation dated to the mid-nineteenth century, the material clearly came from disturbed contexts. A substantial amount of modern debris was found on the surface and within the upper soil layer of the units. The remains of an outbuilding, possibly a smokehouse, were recorded in the adjacent woods. That structure was frame and had been constructed with more recent wire nails. No evidence of intact deposits was found at the Burris site, and its integrity had been destroyed over the years. The site did not appear eligible the National Register of Historic Places, and no additional work was recommended. 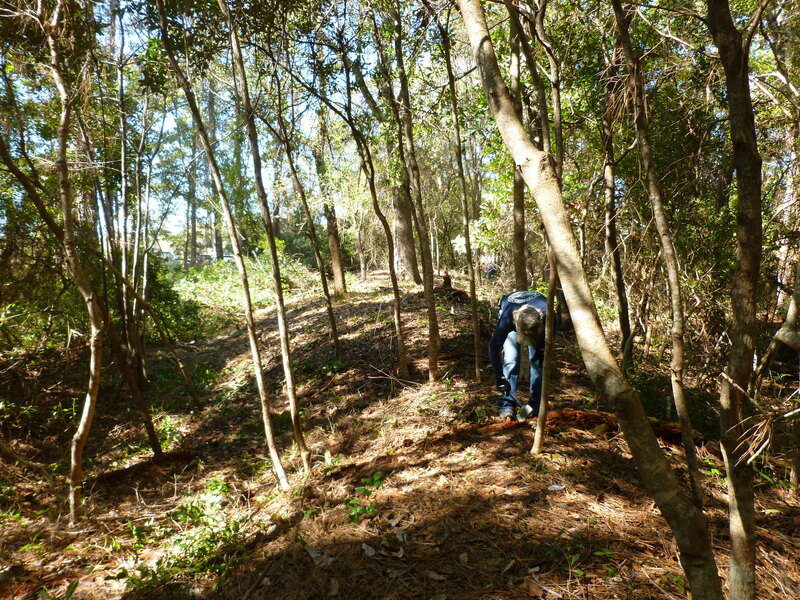 The nearby Civil War earthworks associated with the Sugarloaf Line were also examined. At the feature referred to as a lunette, or rifle pit, the archaeologists prepared a topographic map. The lunette was then bisected with a backhoe trench and a profile drawn. The structure measured approximately 20 x 40 feet with the shape of a waxing moon, hence the term lunette. The profile showed that the more vertical, high side of the mound was to the west, sloping to the east. This would have provided the maximum protection to the troops, as expected invasions would have come from the east. The lunette retained its contours and approximate shape. The site appeared eligible for the National Register of Historic Places as a feature of the Sugarloaf Line of defenses for Fort Fisher. The documentation at the site served to mitigate the adverse impacts on the site as a result of the construction of the development. The final earthworks are apparently an entrenchment also associated with the defensive line. An entrenchment can be any temporary or permanent fortification that provides shelter hostile fire, serves as an obstacle to hostile advance, and allows the maximum use of firepower by the defenders. They would commonly possess an exterior ditch, which provides not only an obstacle to enemy attack, but also the fill for the embankment. The earthworks appear on maps made of the vicinity during the Civil War. The dissected linear earthworks trend the southwest to northeast and are outside of the current development boundaries; however, the road that will access that area falls in the break between the two sections. The soil, vegetation, and the expanded trunks of the trees indicate that the vicinity was a swamp prior to extensive drainage in the area. The earthworks were apparently constructed to the swamp, where they stopped, and were then continued on the other side of the swamp. No artifacts were recovered at he earthworks. The earthworks are well preserved and eligible for the National Register of Historic Places as a component of the Sugarloaf Line. 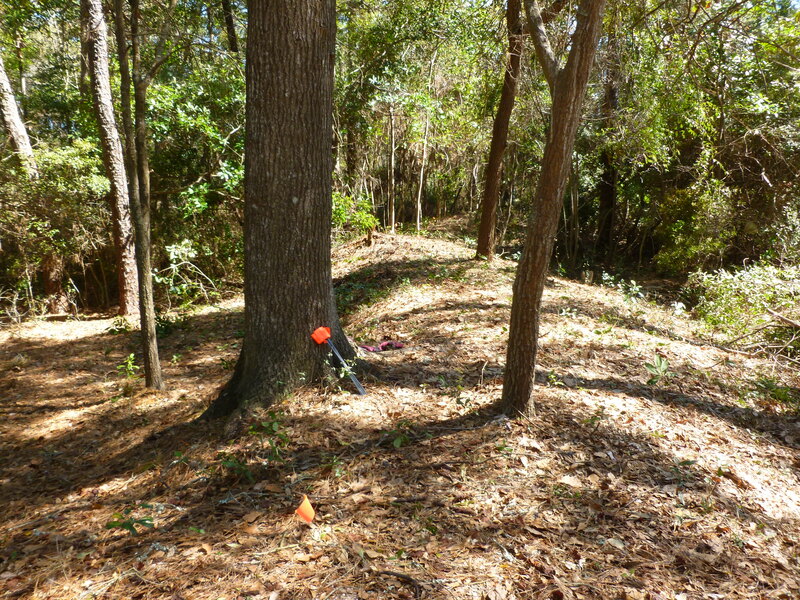 The Gulfstream Development Group plans to erect a fence and an identification sign for both sections of this protected earthwork thereby preserving the site.